William John Watts, pioneer preacher in southwestern West Virginia, was born on February 12, 1823, in Pikeville, Kentucky, to William Samuel and Roxanna Ware Watts. Watts was reared in Georgia where he received some formal training to teach school and to preach as a Baptist minister. In the 1850’s he moved north to Boone County, Virginia (now West Virginia) where he taught in a subscription school. He met and married one of his students, Mary Jane Owen, and established a home in what became Lincoln County, West Virginia, after the end of the Civil War. Watts served as a preacher for several Baptist churches in Boone and Lincoln counties and helped organize the Cobb’s Creek Baptist Church at Sod, WV. He supported the Confederate side in the Civil War and was forced to leave his home to travel south in order to avoid being killed by Union supporters. While in Virginia in 1865, Watts began attending a revival held by a Church of Christ preacher whose last name was Brooks. Though he initially disagreed with what he heard, Watts eventually determined that he had not obeyed the New Testament teaching on salvation and was baptized by Preacher Brooks. Where they got their doctrine, the Lord only knows. I wish they’d bring him back. Watts was barely able to make a living farming and preaching. One time, according to J.W. West in a book entitled Sketches of our Mountain Pioneers (1939), Watts received a sack of biscuits for preaching. But, one of his sons who helped eat them declared them to be the best things he had ever eaten. West adds: “The Watts family did not see wheat flour very often in those days, and the biscuits were a treat.” (p. 259). Despite the opposition of the Baptists, the little congregation survived and grew. In 1877 it built a log cabin in the place where the brethren had first sat down to confer (or hold a council) after Watts’ expulsion by the Baptists, and the congregation was known from that time forward as Council Gap. Watts was involved in efforts to establish cooperation among congregations in Kanawha, Lincoln and Putnam counties during the 1870’s. His only extant written communication published in a brotherhood journal was a report in the October 6, 1877, Christian Standard. In that report he discussed the intentions of their cooperative work and wrote: “There are seven congregations that should have been represented in this cooperation, but on account of misunderstanding the design of the meeting, or from lack of energy upon the part of the officers of the congregations, only three sent in their delegates…” The report also spoke of raising money to provide a preacher part-time to evangelize the area. 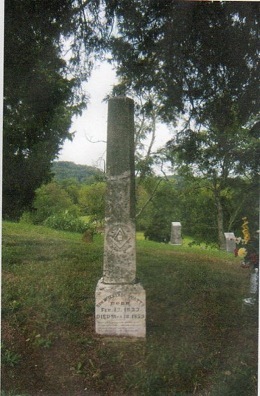 The Watts family was too poor to buy the gravestone, so it was donated by the Masonic Lodge. Though the stone lists him as Reverend William Watts, he never wore or assumed that title after leaving the Baptist church. He was simply a country preacher whose choice of Scripture over tradition enabled the first congregation of the Church of Christ in Lincoln and Kanawha counties to be established. The Council Gap Church of Christ merged in 1967 with the Porter Fork Church of Christ (which had been formed in 1929 by members from Council Gap) to become the Alum Creek Church of Christ. That congregation today has an attendance in the mid-100’s, sponsors local and international evangelism, and remains faithful to the Restoration plea William Watts first brought to the area. Christian Standard (1866-1917). October 6, 1877. Cincinnati, Ohio: Standard Publishing Company. Watts, L.K. (2008). A History of the Council Gap Church of Christ, 1866 to 1967. Self-published Document. West, J.W. (1939). Sketches of our mountain pioneers. Lynchburg, VA: J.W. West. William Watts, pioneer preacher, was regarded as the foremost advocate of "Campbellism" in southern West Virginia. He was the first preacher to bring the "new Gospel" to Lincoln, Boone and Kanawha Counties. Of commanding presences, with clear-cut features, And a splendid physique, William Watts was regarded as a forceful speaker, fearless and tireless In his zeal in preaching the “new doctrine” in a country where denominationalism was prevalent. Mr. Watts was born in Pike County, Kentucky, February 12, 1823, the son of William Watts, Sr., a keel builder for boats, came to America from Wales while a small boy. Roxana Wair was a native of Scotland. Their families having settled in Pike County, Kentucky, William Sr. and Roxana met, married and lived for a time in Pike County. From there, with three small children they moved to Platt River, Missouri. 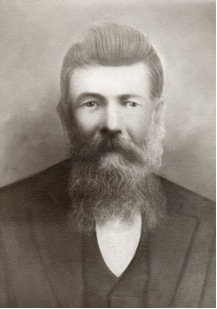 William Watts, the pioneer preacher, was the eldest of three children. A brother, Samuel, went to Australia while a young man and never returned to this country, and a sister, Amazon, died at about the age of thirteen. Receiving most of his education in Missouri and being trained in a Baptist Seminary for the ministry, a few years after the death of his father in 1840 and the earlier death of his mother, William took his horse, the only thing he owned in the world, and started on horse-back for Florida. He spent some time in that state, teaching school and doing various other work. In 1855 or 1856, Mr. Watts came north, traveling and teaching subscription schools and preaching as opportunities presented themselves. He secured a subscription school at what is now Madison, W. Va. While teaching there he met Mary Jane Owen, of York County, Pa., whom he married in 1857. To this union were born eleven children. William and Mary Jane Watts settled on a farm In Lincoln County, in a three-room log house, where they farmed the hill side farm and William Made shoes and saddles. Continuing to preach for the Baptists, Mr. Watts knew nothing of the ''new doctrine'' until 1865 in Wytheville, Virginia, he united with the Church of Christ and was baptized by Preacher Brooks of Virginia. Upon returning home, he preached the "new doctrine," and he was ridiculed and shunned for it, but in spite of that he baptized many people. One time, during a meeting at the Folks of Coal, on the Big Coal River, Kanawha County, he had a man helping him by the name of C. P. Wiggins. Over the hills of West Virginia could be heard this poem, sung about Watts and Wiggins. I wish they'd bring him back. He'd run Watts over the crack. William Watts rode on horseback and preached throughout Lincoln county, Boon and Kanawha Counties. For a year he was an evangelist in Boone County. The pay he received was never sufficient to support his family and he had to rely on his farming for a living. Once the pay he received for his services was a sack of biscuits, which, according to one of his sons who helped eat them, “were the best things I have ever eaten in my life.” The Watts family did not see wheat flour very often in those days, and the biscuits were a treat. Mr. Watts organized the Church of Christ at Council Gap, near his home, and it is one of the few congregations left in that county today, and one of his sons has ministered there for thirty years. All of his family were members of the Church of Christ. In 1861 there was born to Mr. and Mrs. Watts twin sons, who became Church of Christ preachers. These two sons are both living today, and one of them, J. D. Watts of St. Albans, W. Va. is the father of E. A. Watts, minister of the Church of Christ in San Fernando, California. William Watts died March 18, 1879, at the age of fifty-six. 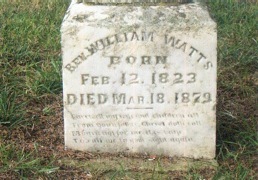 The gravestone of William John Watts is located in the Watts’ Cemetery/a.k.a. Owens Cemetery at Sod in Lincoln County, WV. From Charleston, the cemetery may be reached by taking Route 119 South to Lincoln County. Take the Hamlin/Alum Creek exit to State Route 214 South (also known as Midway Road and Yeager Highway) and continue three miles to Sod, WV. At the Sod Post Office, take Timberwolf Trail for a distance of approximately one mile. At the top of a small hill, the road will dead end. A road to the left leads directly to the cemetery (it is a distance of about one quarter of a mile at this point). Special Thanks are extended to Louis Watts, the great great grandson of William J. Watts. The old pioneer preacher had eleven children, the oldest of which was the great grandfather of Louis Watts. He has provided the biographical information, photos of the grave markers, directions to the grave, and portrait of his great great grandfather that appear on this site.